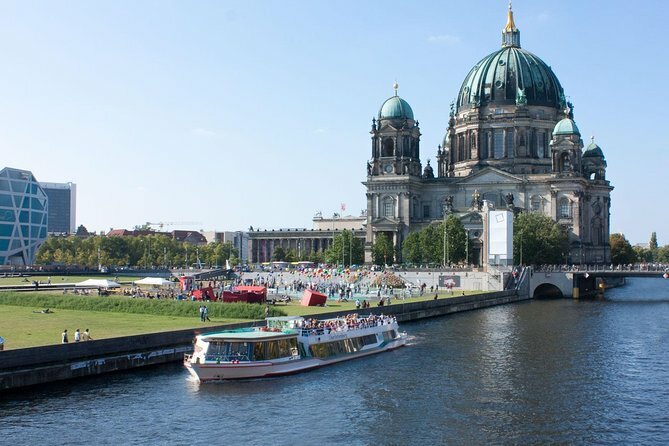 This 1-hour cruise goes past all of Berlin's main sights and includes a pizza as well as a drink of your choice! You have chosen: 10:15AM : Berlin Pizza Cruise, on the date of 27-April-2019, for a price = 29EUR. Number of Adults = 1. And this is the final price, no extra VAT, tax, credit card, etc. charges.